The Centre Office Building at MIDI, more commonly known as the T14 project is nearing completion, standing prominently between the Q1 and Q2 buildings on the northern shoreline of the Tigne Development Project. 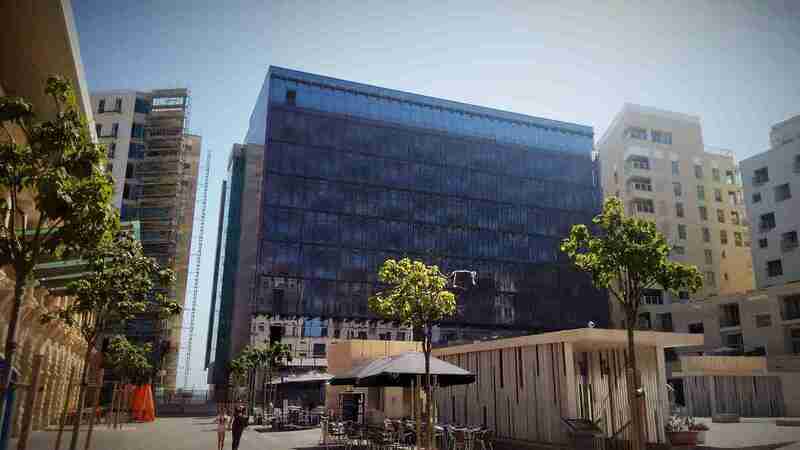 The curtain wall facade glazing is now fully concluded and clearly outlines the straightness of the perimeter line of the premises. The south facing facade also has over 1000sq m of mesh installed with its main use being reduction in the reflection on the glass in the piazza as well as shielding the premises from direct south facing sunlight, therefore contributing to the energy performance of the building. The double height entrance hall is finished in marble with curved marble cladding to walls and columns. Apart from this, works are now mainly concentrated around the finishing touches of the premises and commissioning of the various M&E systems to render a state of the art product to prospective tenants who shall be occupying these offices in the very near future.